I’ve been meaning to post pictures from our family trip to China and am just now getting around to organizing my photos. It was one of the best family trips we have ever been on. It was affordable, there was so much to see, and it was so easy to do with kids. Before I went I was a little nervous about getting around but I don’t think it was that much harder than navigating a European country with a foreign language. We felt safe and everyone was very helpful when we asked. 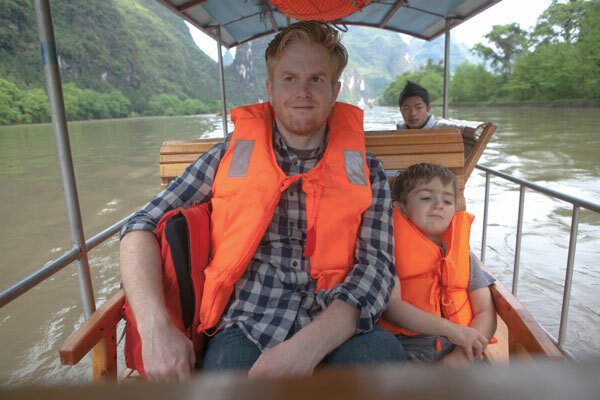 We had been wanting to visit Paul’s brother and family who are living in China and when I was hunting for airfare for a Spring Break trip I happened upon some really cheap direct flights to Shanghai. They were less than $600. We jumped on them and are really happy we did. The Flight/ I read the flight information wrong at first and had thought the flight was going to be 15 hours long. Luckily it only ended up to be about 12 hours. It really wasn’t bad. We came prepared with ipads and headphones and snacks and the kids did great. When we arrived we were tired but went directly to the train station and took a train to Nanjing, just a few hours out of Shanghai. We stayed with Paul’s brother and family. It was a great transition to stay with family for the first few days because there was no pressure to sight-see and we could get over jet lag. They took us to markets that aren’t in any guide books. They also taught us a few tricks to get around. 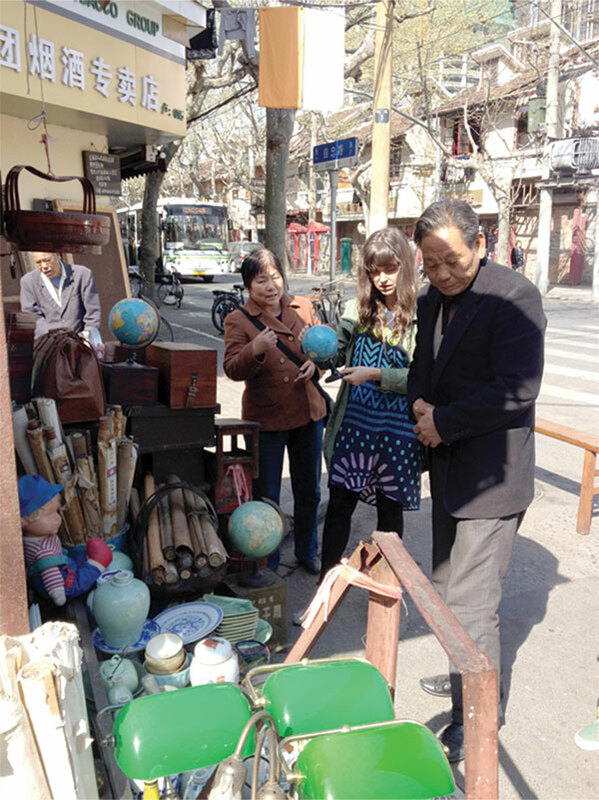 Honestly, the most helpful thing was watching my sister-in-law bargain with the vendors in limited Chinese. It came in handy later on in the trip when I had to do it on my own. Nanjing/ We probably wouldn’t have stopped in Nanjing on our short trip if we didn’t have family there. 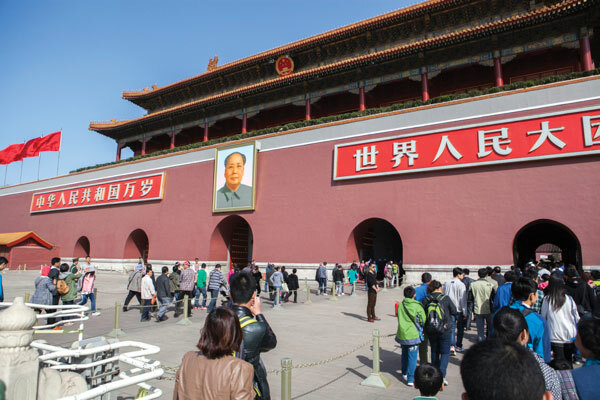 It is a great city but not as famous as some of the others in China. Besides the markets and seeing family we also went to Confuscious’ Temple and Yellow Mountain which we really liked. After a few days we jumped on a train and began our trip to Beijing. Beijing/ We only had a couple days in Beijing and the priority was to see the Great Wall. I knew we were only going to be scratching the surface on this city but it was still worth it to me to go there just to see the Great Wall. I had done some research and knew I wanted to go to the more remote section that goes from Jinshaling to Simatai. You hire a driver to take you about an hour and a half outside Beijing and they drop you off at Jinshaling and then pick you up at the end of the day at Simatai. While we were there the roads to Simatai were closed so we just hiked for several hours and then after lunch turned around and backtracked. 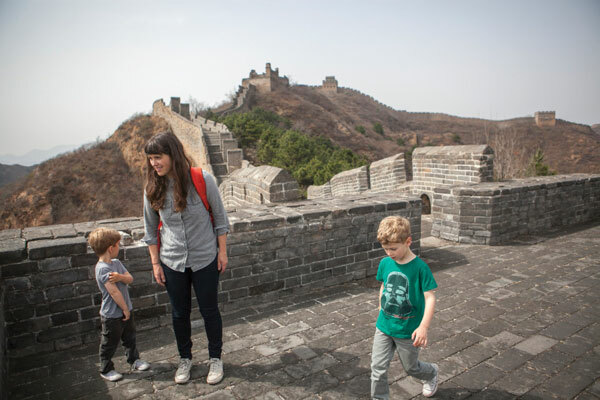 The Great Wall did not disappoint. It completely lived up to the hype and was really an amazing experience. Our boys (ages 4 and 6) did really well on the hike. They could run around and get their energy out and was much better than the days where they had to sit still at a restaurant or on a train. We saw a handful of people the whole day so it was a really cool experience that we pretty much had the wall to ourselves. 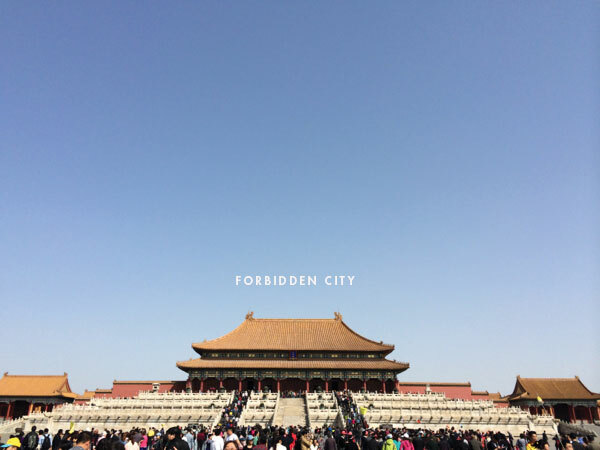 The next day we had time to make a quick visit the Forbidden City and Tianamen square before we caught an afternoon flight to Guilin. Yangshuo/ We flew into Guilin and caught a taxi straight to Yangshuo (about an hour away.) I had read that Yangshuo had the same landscape as Guilin but a little less touristy and more laid back so we skipped Guilin completely. This place is heaven on earth. 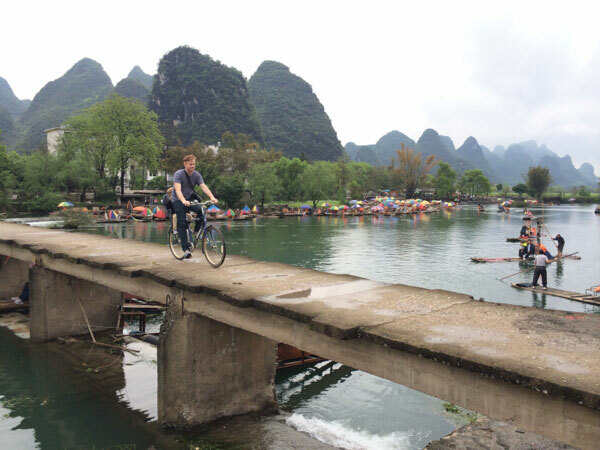 I loved our whole trip but Yangshuo was definitely the favorite. As we drove in the taxi through the lush green landscape I couldn’t believe that everyone was driving along as if everything was normal. The hills were breathtaking complete with swaths of mist! I wanted to make the driver stop to take pictures every five minutes because it was so beautiful. We stayed at The Giggling Tree at the recommendation of a friend and really had a great time. The rooms were made out of old farm houses and is run by a Dutch couple. It was very family friendly. They helped us make arrangements to site see and rent bikes etc. Even though it is a fairly small town there was so much to do. We would usually spend half the day doing a hike or doing an activity like a boating trip and then half the day riding bikes. There are these amazing little roads and paths all over the valley and biking was a huge highlight of the trip. Another cool thing we did was go to the Impression Sanjie Liu Show. Zhang Yi Mo, the director, is the guy who is responsible for the Beijing olympics opening ceremony. It was an incredible show. The only thing I regret about this part of the trip is i wasn’t appropriately dressed. I would have packed more outdoor-type gear like hiking sandals and rain jackets. We were fine but I didn’t totally realize what it was going to be like when I packed. 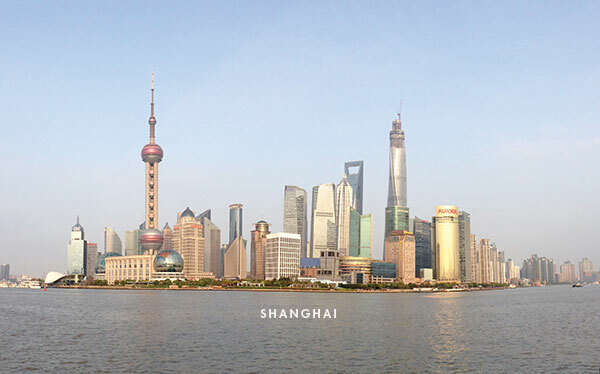 Shanghai/ It was great to get back to a modern city after spending some time in the country. Our friends were there for work so we were able to meet up and do some shopping with them. Shanghai is fantastic. We stayed at the Andaz Hotel (we chose it because thats where our friends were staying) and had a gorgeous room on the 24th floor. It is one of the nicest hotels I’ve stayed in and my favorite part is they don’t nickel and dime. They had complimentary wifi and replenished free treats in our room everyday and always had some delicious snack for free in the reception area. We paid about $150/night which isn’t cheap but considering how nice the hotel was it felt like a good value compared to the hotels in San Francisco where we live. (Plus it had one of those amazing electronic toilets that I had only read about!) 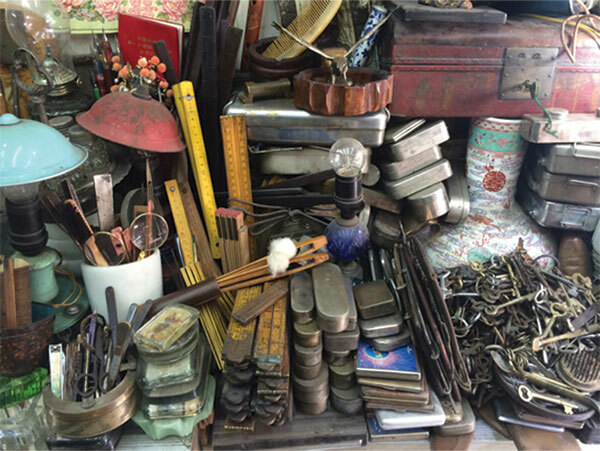 Our favorite things in Shanghai were: Spin, Flea Market, and The Notions Market. 1. Splurge for an International Data plan. I’ve started to just plan that into our travel budget as it makes everything go way smoother. 2. When you search something on your phone it also comes up in Chinese characters, we could show that to the taxi driver or the man selling train tickets and it allowed us to get around the language barrier. 4. For food our kids loved dumplings and we could usually get those anywhere we went. It was a pretty easy kid-friendly food to find if our kids were being picky. Have you ever traveled in China? Please add your suggestions and tips below in the comments. How exciting! 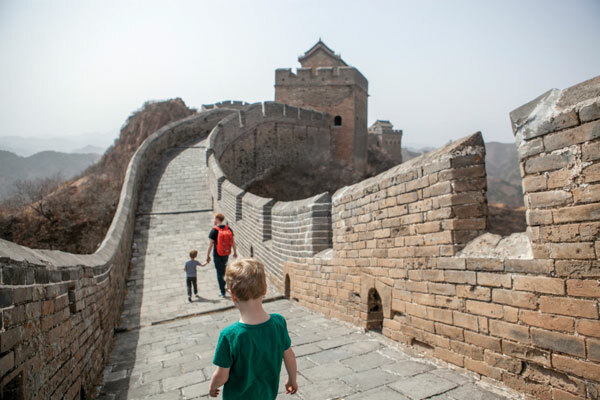 Have never been to China but planning on a trip in a few years… My boys, ages 6 and 5, are in an international program at school. They take spanish, primarily, followed by mandarin. As part of the plan, we will travel to a Latin country and china, to introduce the kids to each culture. I can not wait!! Thank you for your suggestions!! Your joie de vie is contagious! Hope one day to live on Paris! So why were they taking so many pictures of your boys? I’m not sure, I think they aren’t used to seeing westerners. Great trip! Im not sure how much international data plans cost, but another thing you can do is buy/rent international SIM cards to put in your phone. They are really cheap and easy. We used one when we went to europe for two weeks and I think it was $7. Dont quote me on that price..I could be very wrong haha! My husband took care of that stuff. amazing photos!! wow. looks like a trip of a lifetime. Looks like a great family vacay! Your family is breathtakingly beautiful. Your adventures across the ocean blue (with family in tote) is one of the best ways to learn about new environments. 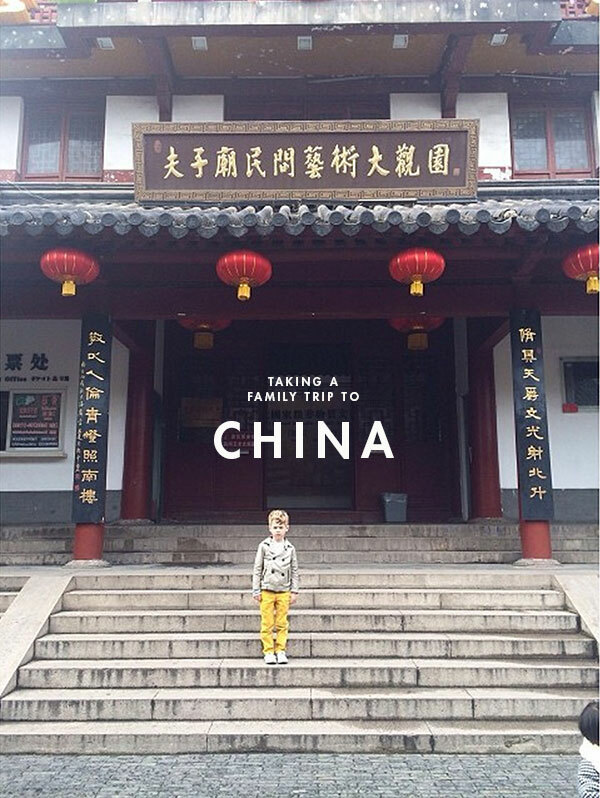 We’ve never been to China, but from the looks of it, it’s going on our MUST SEE travel list. Thanks for sharing! After visiting Thailand a few years ago with my family, I am inspired to visit more of Asia (I never wanted to before). This really puts China on the list for me; I think especially NOT in the summer. 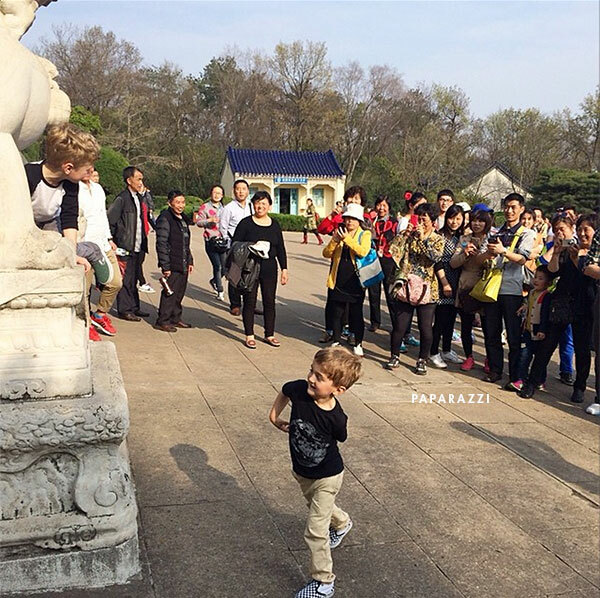 Friends of mine who lived in China said that their blond haired children created quite a stir, and people wanted to take pictures and touch their hair. It is very rare in China! 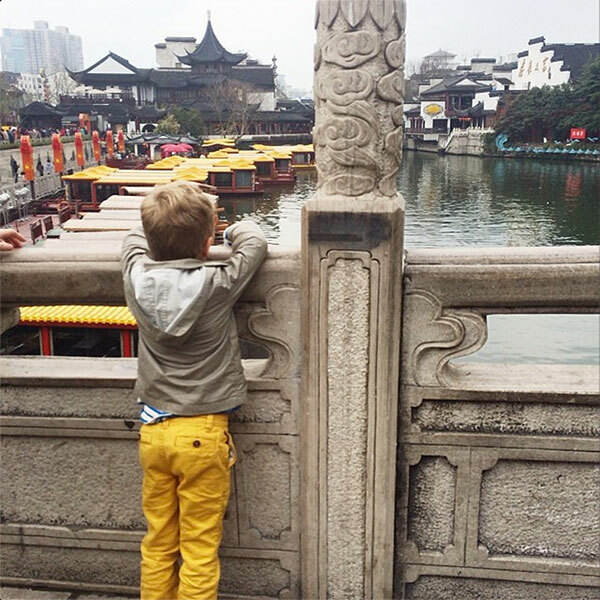 We just got back from a family trip to Thailand and explored Shanghai during our 12-hour layover. China was SO different from Thailand. I need to get on the ball and document my trip on my blog! Could not recommend going to China more!!! I have been twice….the flight is very long but you get to see some pretty good movies Went to visit friends living over there (which made for easier travel/language barrier when with them but picking up the basics when staying over a week is pretty easy for the most part). My favorite part is being in the country- the people are sweet, the food is delicious, and it is beautiful. I think this is changing (they’re selling), but if you need cash Bank of America is connected to the China Construction bank where you will not get a fee for using their ATM. That was helpful because so much can be cash based. 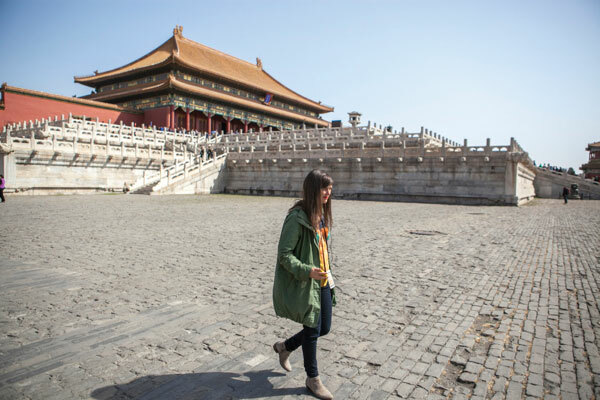 Definitely worth it to see Beijing (Olympic Village, The Great Wall, Pearl Market, etc) or Shanghai and also to see the outskirts and smaller villages. Most of all I loved the food – so hard to find authentic Chinese food here in the US unless in a big city like San Fran or NYC jealous of that!! So glad y’all enjoyed your trip! and I encourage anyone out there to GO! I’ve been to Taiwan and China and in both countries they would stop me to take pictures with me. I’m guessing they were taking pictures of your sons because they have light hair (and westerns). I have blonde, wavy hair with green eyes and people would stop me and yell, “miss america, miss america!” I felt like a celebrity. I spent 6 weeks in Shanghai during college (8 years ago), and I was shocked at how many people would stare at me or take photos. 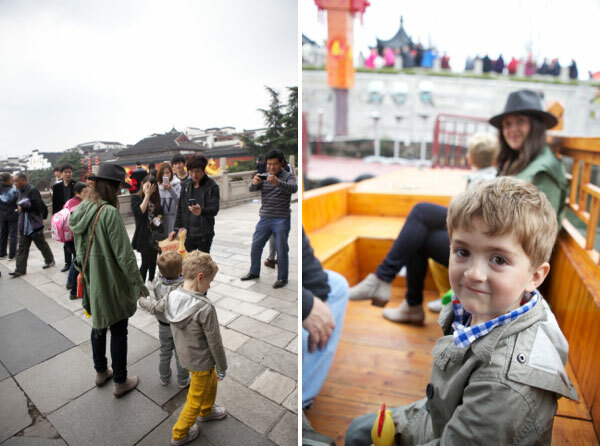 In China, even in big cities, they just don’t see many westerners, blondes, or families with multiple kids. This sounds inauthentic, but when visiting China, I would highly recommend visiting a KFC. People LOVE KFC in China, and even though I never eat there at home, it was really interesting to see what parts of american culture are embraced over there. But otherwise, the street food is so good! I still miss the dumplings I ate for lunch there. I also recommend spending an afternoon at a spa. The bathhouses are amazing, with pools, massages, pedicures, etc, pingpong and restaurants. It’s a very common thing for people to do together to relax. They even give you a set of special pajamas to wear while hanging out. I was really nervous about going, but it was one of my favorite experiences. Note: choose your spa wisely. Some offer “other” services. Practically, carry hand sanitizer and a pack of tissues with you everywhere. Sanitation standards are a little different. I would avoid wearing sandals in cities for the same reason. My sister is a red head and when she went to China for a work trip the locals went NUTS over her, they were staring, taking pictures, etc. I don’t think many of them had every seen a red head in person before! I found a deal a few weeks ago for a trip to China and this has totally cemented my desire to go. 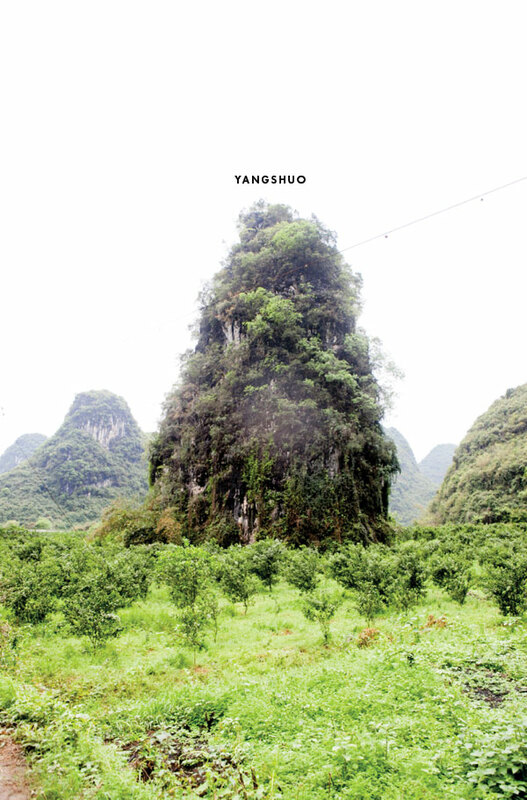 Those pictures of Yangshuo are almost haunting. How beautiful. Jordan, I love it that you went to China! 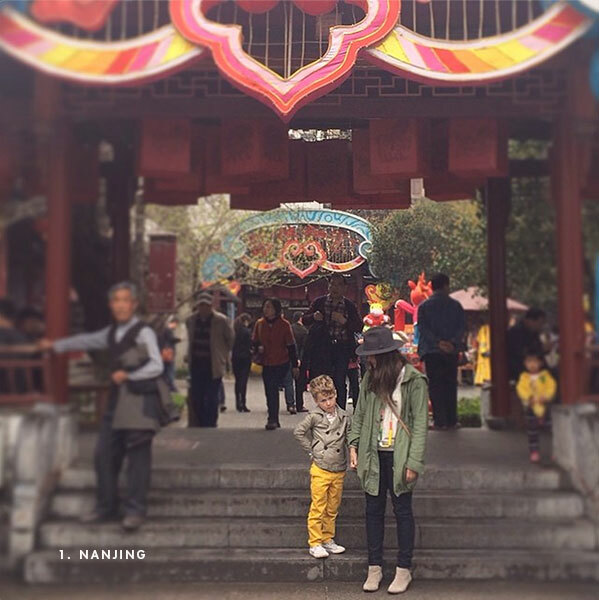 We lived in Nanjing 8 years ago and loved our time there. I am so glad you got to go to there as well. Seeing your pics brought back a lot of memories. 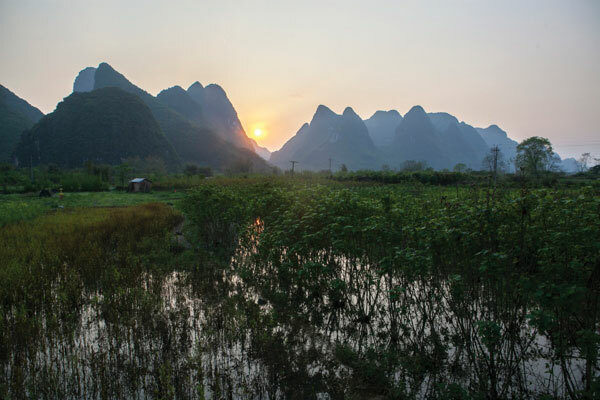 Yangshuo looks awesome. 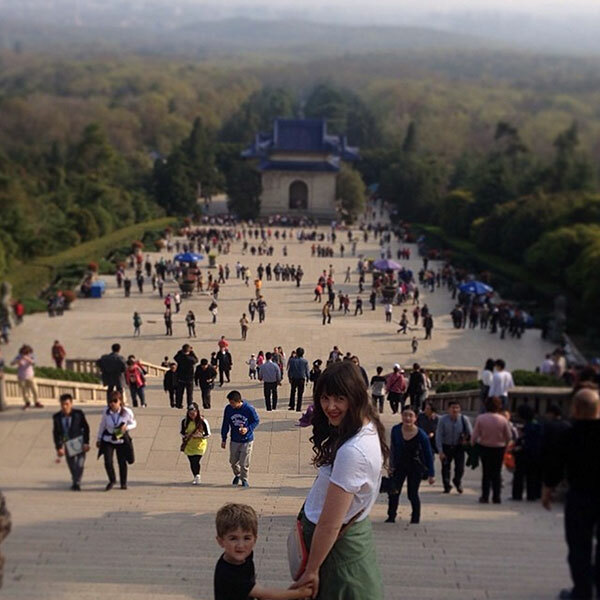 We are moving to Beijing in a couple months, so if you end up going out there again anytime soon, please let me know. Ah, what an amazing trip! 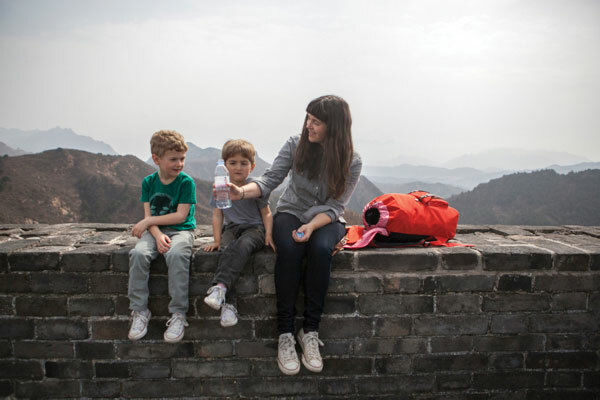 The “paparazzi” reminded me of this Cup of Jo post about Western parenting in China — apparently having more than one child is a huge novelty! Haha. What a cool experience for everyone. I’m really, really hoping to make a big trip with our kids next year–hopefully to Europe–and this kind of thing just makes me less nervous about international travel with young kids. You make the most beautiful pictures and you have a lovely family. The kids will love to see these memories in the future. I just feel like people should not go crazy with bargaining. Most of the vendors like far below our ‘American’ standard of living. Just kind of miserly to be bargaining with people who already have so much less than we do. You know what I mean? My mother never bargains when we go to India because she feels it is better to be generous. 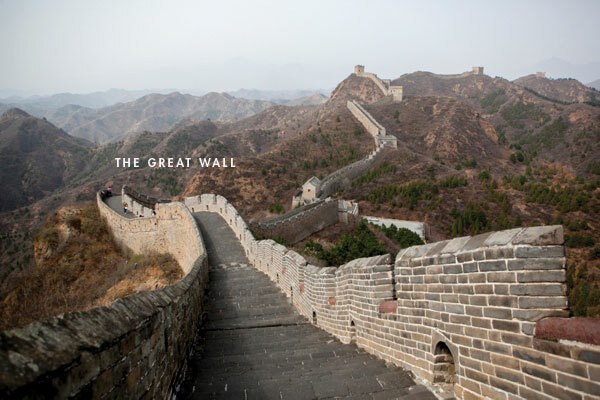 I’ve never been to China so I have no tips, but I wanted to say that I love your photos, especially the ones of the great wall. I’m running the Great Wall marathon in May. I was keen to read about your trip as id like to take my to in family with me. We live in Singapore so the distance to travel is not so great. It’s been great to see your family have so much fun and an immense adventure. It makes me more comitted to take the kids along for my adventure. It’s certainly something I want to experience with them. I love your travel guides! It’s inspiring. My fair-haired girls were both born in Shanghai (we’ve just returned to Australia after 9 years living there) – it’s generally considered good luck for Chinese to have photos of Western children. So different I guess & still a novelty even in the big cities. To anyone considering travelling there – I couldn’t recommend it more highly. I had tears of homesickness in my eyes looking at these photos. It’s a truly wonderful country & these are years of hugely amazing change. Where did you fly into? Also, how did you find such cheap airfare? Orbitz? Waw! Me too I dream of traveling in China! But let’s say it’s a bit far and expensive! In totu case photos give really want, it is very pretty. Beautiful pictures. 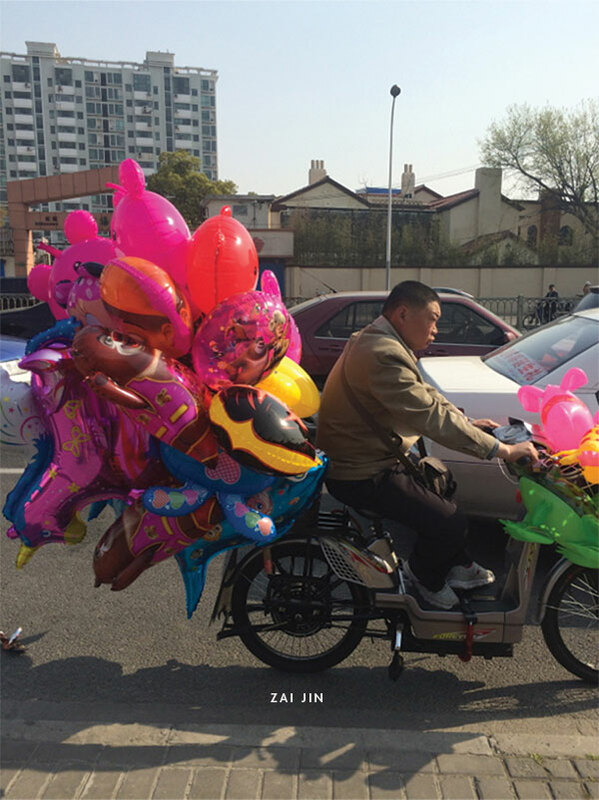 Reminds me of our three month trip through china. We went back to the giggling tree about 3 times. We loved it there. Also Karst and Paulien are such wonderful people. Indeed, small town but so much to do and see. I’ve lived in China for 2,5 months in 2009. 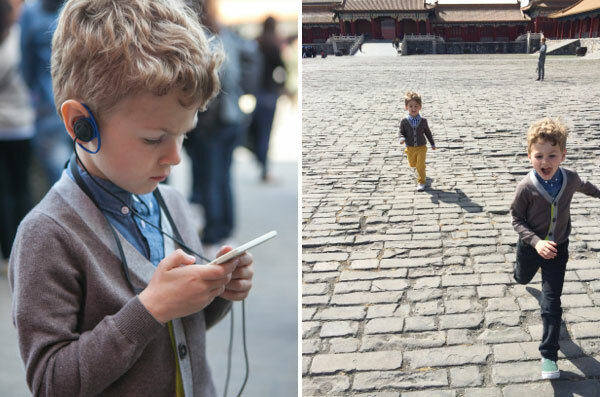 If you’re travelling to China, be prepared to have many, many, MANY photos of you taken. And no, they won’t ask if it’s okay. It was always funny, when people went into “stealth”-mode, one of them would “sneak up” next to you while the other one secretly took a photo of us together. sometimes i’d just hug them and grin in the camera….but often it was just pretty annoying. if you want to travel within china, take the night train. they have hard sleeper – beds (which are actually quite comfy) and soft sleeper (usually 4-6 people private). remember to bring some instant noodles! first time, i thought there was going to be a on-board restaurant, but no. if it hadn’t been for my chinese bunk-bed mates, who kindly shared their food with me, i would’ve had to go to bed hungry. an advice that is not only for china, but universally applicable: be brave and just tip your finger on the menu and let yourself be surprised! 😀 my colleagues usually did that (i always just said “i’m vegetarian, bring me something without meat”) and although there were 2-3 times when it was just not edible (chicken feet)…and often, we had no idea what was on the plates in front of us (duck tongues), most of the times we had awesome dinner! Wonderful post! 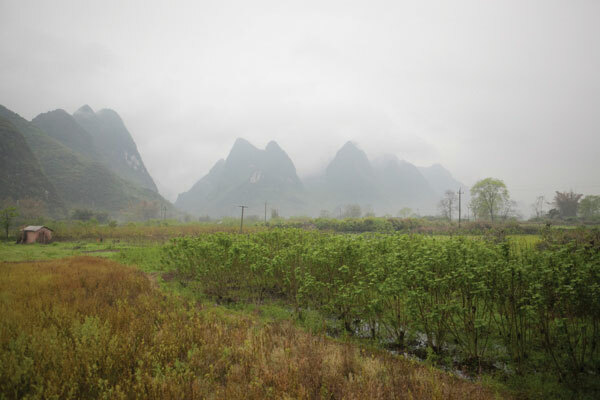 The Yangshuo landscape is like something out of a scroll painting – really incredible! 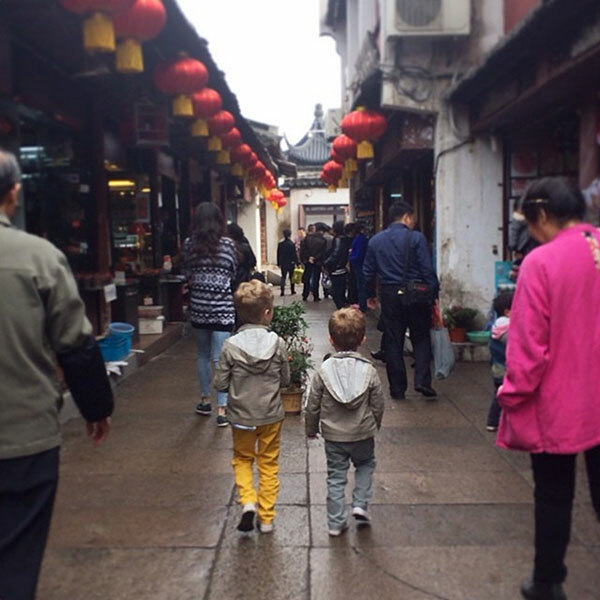 I went to Shanghai and Hangzhou on my last visit to China and loved it – next time I’m keen to visit southern China and Beijing Glad your family had a good trip – even if your boys got constantly papped! So happy to hear you loved China! For some reason I have always been hesitant about traveling there. But now, you have convinced me! Can’t wait to look more into it! Such a great post. It makes me feel a little more confident about taking long trips with my kiddo. Although, it may be a few years yet until my son will be able to appreciate such a trip (he is only 1 1/2). My sister recently went to southeast Asia too and it sounds amazing. (You can check out a post she wrote about it on our blog). @Cher and @Jordan I think in some cities / areas of China it is very rare to see people with blond hair (hence, the paparazzi!). My cousin-in-law is from China, so I’ll have to ask her! Your photos make China look so pretty! 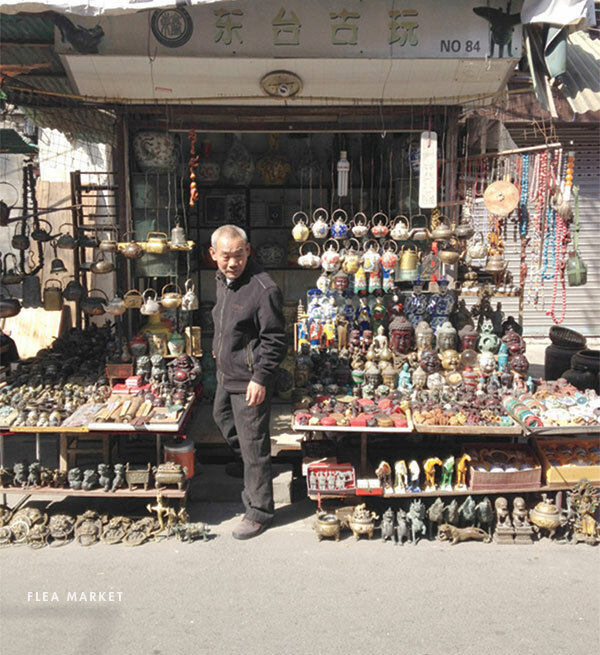 One of my favourite travel memories is a trip I took with my mom to Yunnan Province. It’s so unlike any of the major cities in China with a laid back capital (Kunming), breathtaking scenery (Lijiang, Shangri La. Dali) and plenty of culture. Highly recommend! Heya! 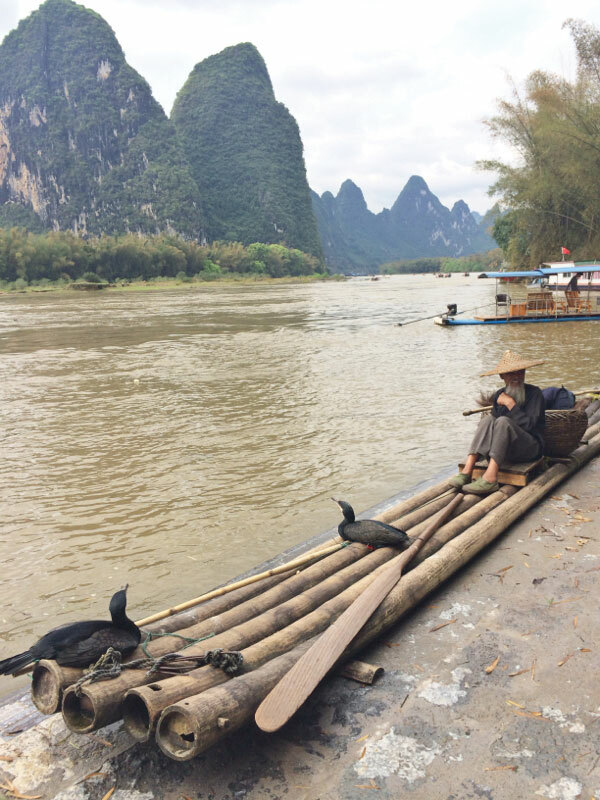 You should have visited Guilin! It is a awesome place I went there 2 years ago. 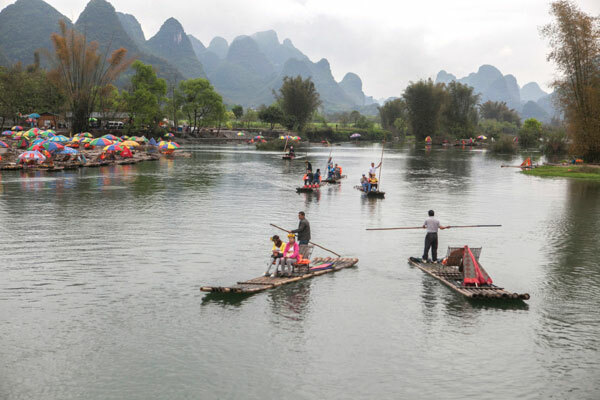 There is a famous show in Guiling called Liu Shan Jie — the performance is done in a real background of Guilin, and the most interesting part is where the actors and actress are REAL farmer, fishmonger, housewives and kids who plays along the river. They literally bring their daily life to their performance. I was in Shanghai and Ningbo a few years ago. I’m 5’9″ which is pretty rare for females in China so people would literally RUN up to me yelling, “Giant! Giant! Picture? !” And then there’d be a swarm of people around me having friends or family take their photo with me. I have to admit, it hit my self-esteem pretty hard at the time but I try to laugh about it now. Also my husband just got back from Beijing at the end of June and he had a few families want there photo taken with him at Tienanmen Square. He said it was the most bizarre travel experience he’d ever had. The best part was he no longer thought I was crazy for all of the stories I told him of my trip there. 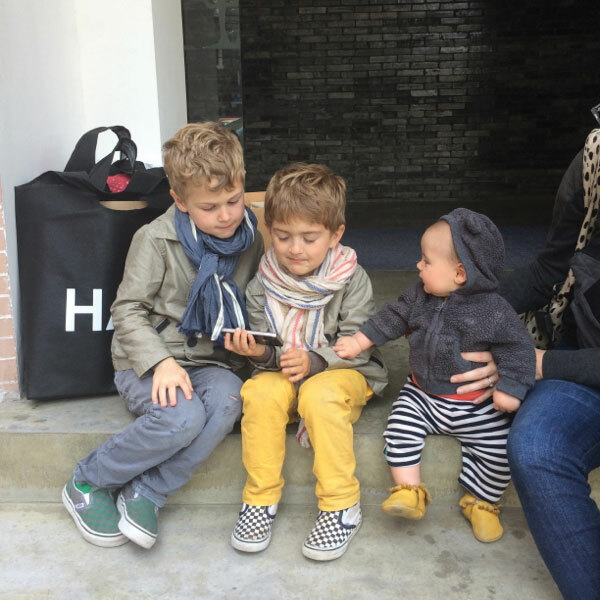 Could you dress your kids any cuter?? Seriously! 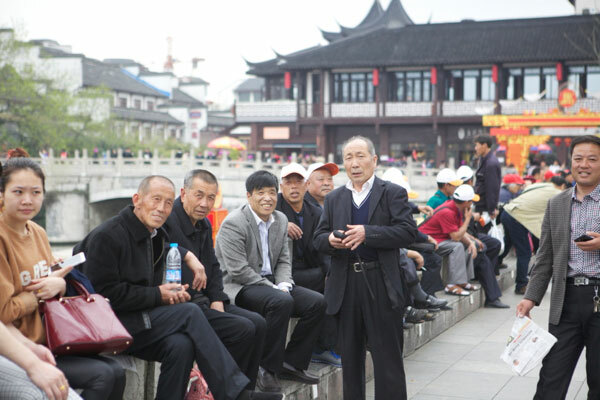 Cher, most Chinese citizens have only seen fair skinned, fair haired people on TV or in the movies, so when they see them in person it is a novelty and pretty exciting. We went to Hong Kong last year. Even though I am half Chinese, my daughter has fair skin and light hair. We let her wander in the lobby of the hotel a little bit. 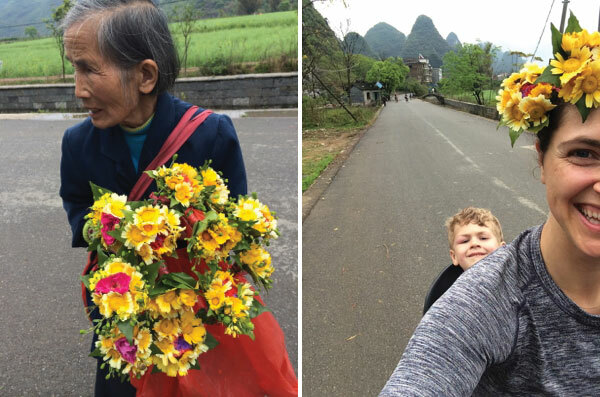 She approached a sweet little Chinese family that took pictures of her and with her like she was a character at Disneyland. It was strange, but we never felt threatened by it. Similar occurrences like that happened more than once. Most people were kind but curious. 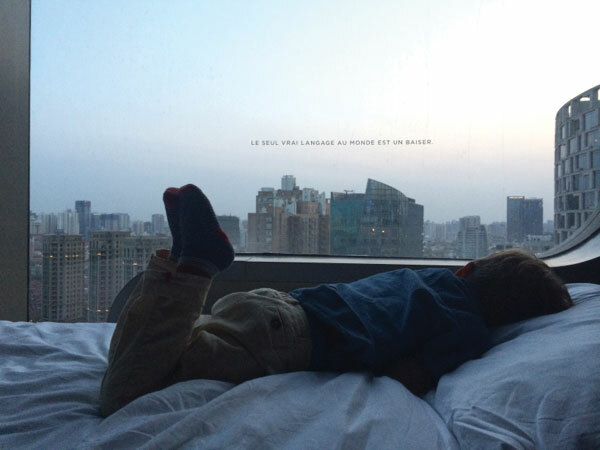 We have never traveled to mainland China, but Hong Kong was really family friendly. From what it sounds like, accommodations are a little more expensive, but the service is top notch. Everywhere we went, employees were extra nice and accommodating to our children. That was a delight to witness. Tips…leave the car seats at the hotel. They are not required or practical since you walk everywhere or take a taxi. I know of no taxi there that would wait for you to properly latch in a car seat. Also, don’t bother to rent a car. Parking and petro is not worth the insanely expensive investment. Two musts for me personally…hit up at least one street market (they often open up late at night) and try their version of American food. China still has forced abortion and sterilization for people who get pregnant with number two. That might be part of the reason for everyone loving your sweet boys. Not one, but two cuties. I see your blonde haired boys got the rock star treatment! I’m blonde, too, and I couldn’t take 10 steps on The Great Wall without a hoard of people wanting to take a picture of/with me. It was crazy! In a country where EVERYONE has black hair and you’ve rarely if ever seen a blonde, it’s gotta be like seeing a unicorn or something. I’m in love with your son’s yellow pants! Would you mind sharing where you found them? 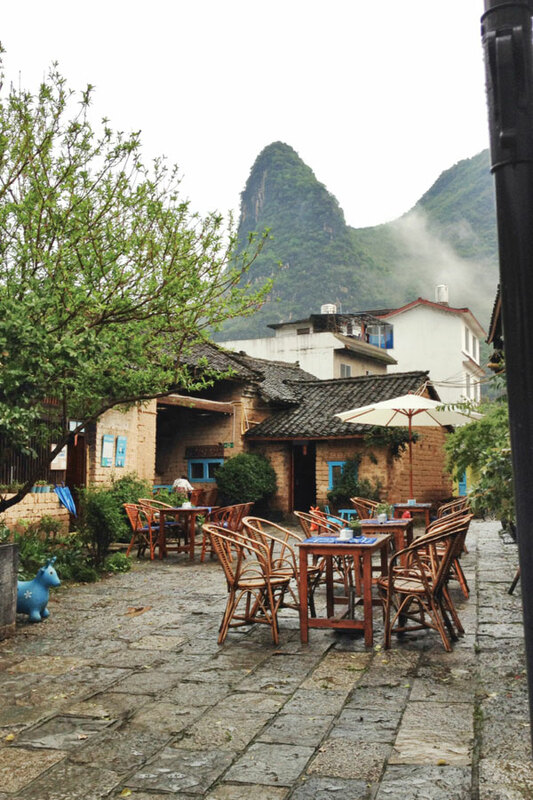 How long did you stay in Yangshuo? I’m going to China in September with my boyfriend and we’re doing Beijing for 4 days, Xian for 2-3 days and Yangshuo for about 4 days. Is that too long down there or will it feel like a nice break? This is such a great round up Jordan, your trip sounds like it was amazing. China is one of the best places I have ever been and you’ve just convinced me I need to get back there stat! So many amazing things to see and do there. Hi – love you post! It has so inspired me. 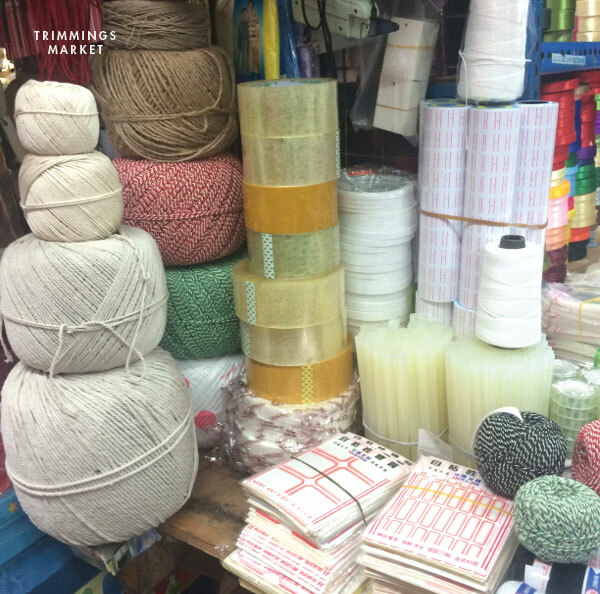 My husband and I just relocated from NYC to Hong Kong, and we are anxious to travel around and explore a new part of the world, so your trip recap is very insightful.